Usually we write about some amazing restaurant that we’ve discovered in New England, an incredible recipe idea or helpful relationship advice. But not tonight! We’ve gone a little out of the box. Nay, we’ve left the box. 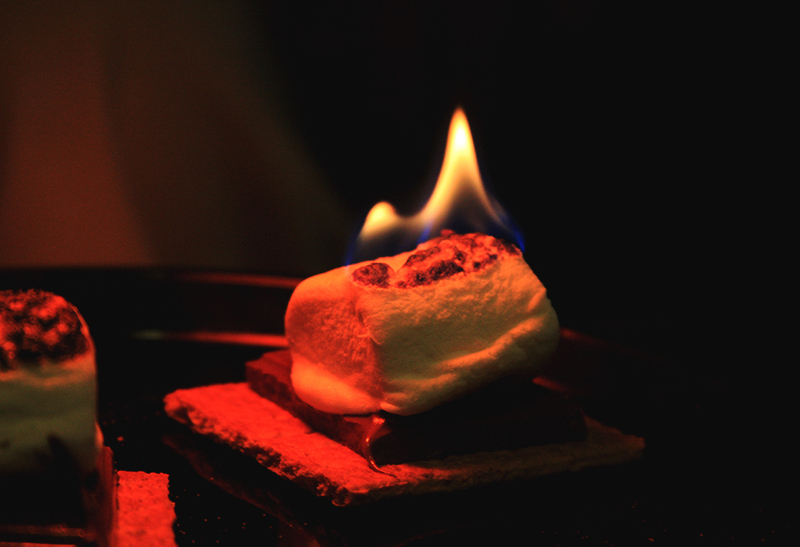 There were flames (literally), entertainment and amazing food all from the comfort of our home. How is this possible from home you ask? Easy, a personal chef for the night. Enter Mr. Joe Choi, a professional chef with a flare for complex flavors in what seems like simple recipes. On tonight’s menu he prepared an eggplant caponata appetizer, pan seared scallops with oyster mushroom risotto and s’mores torched right in front of us on our very own dinning room table. He took over our quaint, little kitchen and worked culinary magic on our tiny stove. A personal chef seems like something only for the rich and famous. This couldn’t be further form the truth! Most personal chef’s curve their meal plan based off of your personal preference, dietary need and budget. Doing a quick search on yelp for personal chefs in Rhode Island renders a long list of talented individuals within a price point your could swallow on a budget for a special occasion. Doing the math, it was close to the same amount we would have paid going to a nice restaurant, paying for parking, paying for drinks and ordering dessert or going to a dessert bar after. Plus we were able to provide our own wine, cutting down the price even further. Though not a luxury we can afford often on our tiny budget, hiring a personal chef is perfect for an anniversary, birthday, or any special occasion to relax and enjoy quality time with each other without the stress of planning and traveling. Personal chefs plan the menu for you, take care of the shopping, cook an extraordinary dinner AND take care of the cleaning. Say what?! 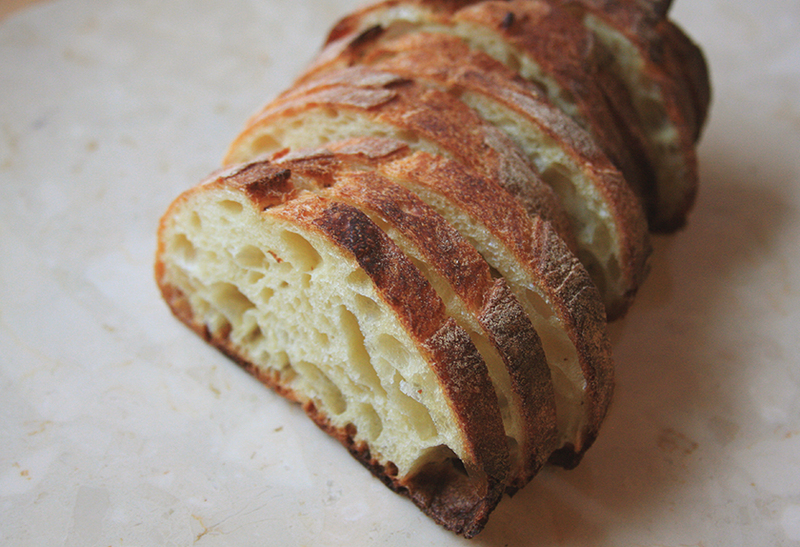 Mr. Joe Choi was even kind enough to share his recipe for the night with all of our readers. Thank you Mr. Joe Choi for an incredible night and an amazing meal all of our readers can enjoy! Dice the eggplant into ¼ inch squares, salt thoroughly and set aside for 1 hour (this is to remove the moisture in the eggplant). With the prepped eggplant, heat up enough oil in a pan to deep fry the eggplant to a golden brown. Once the eggplant is golden brown, place in a bowl and set aside. 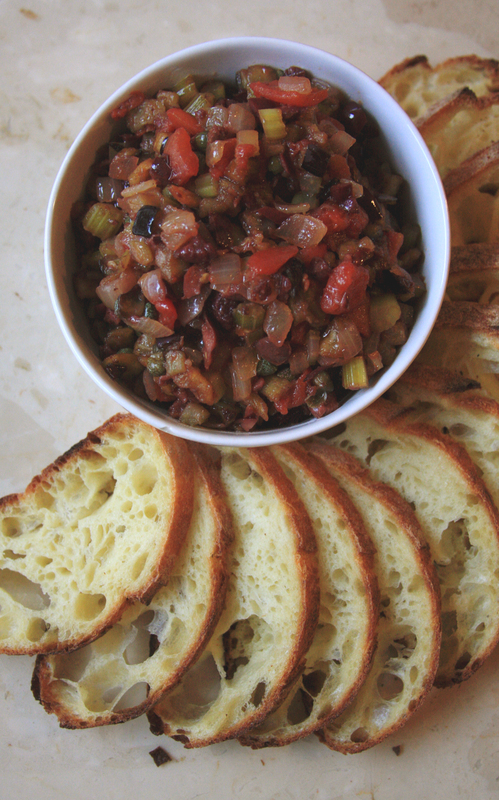 Cut up the onion and celery into ¼ inch squares, chop up the black olives, and open a can of diced tomatoes. Coat a small to medium pot with olive oil and add in the onions and celery at medium heat to sweat them. Add in the tomatoes with the onion celery mixture and stew them. After stewing the tomatoes for a couple minutes add in the capers and olives. The final step is to add in the fried eggplant and serve with a toasted french or ciabatta bread. To prep the risotto, you will first need to finely chop the onion and cut your ½ lb of scallops into fourths before beginning. 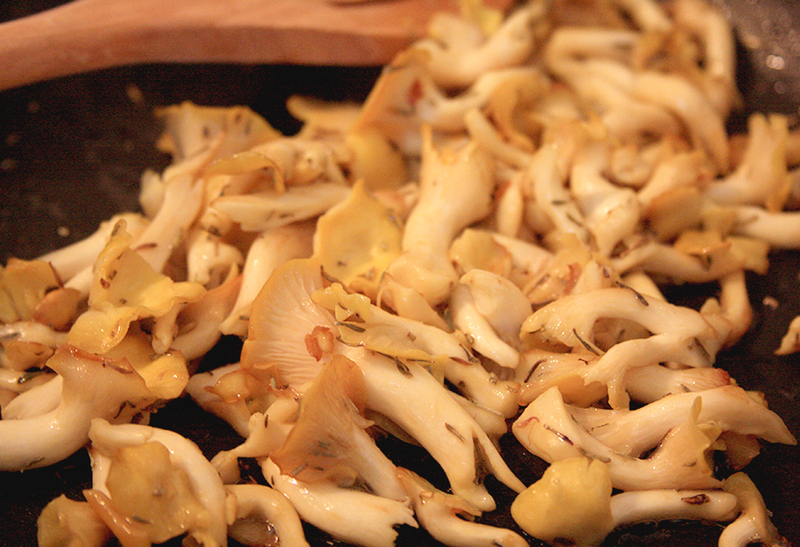 You will also need to take your mushrooms and sauté them in the butter, thyme, and rosemary. 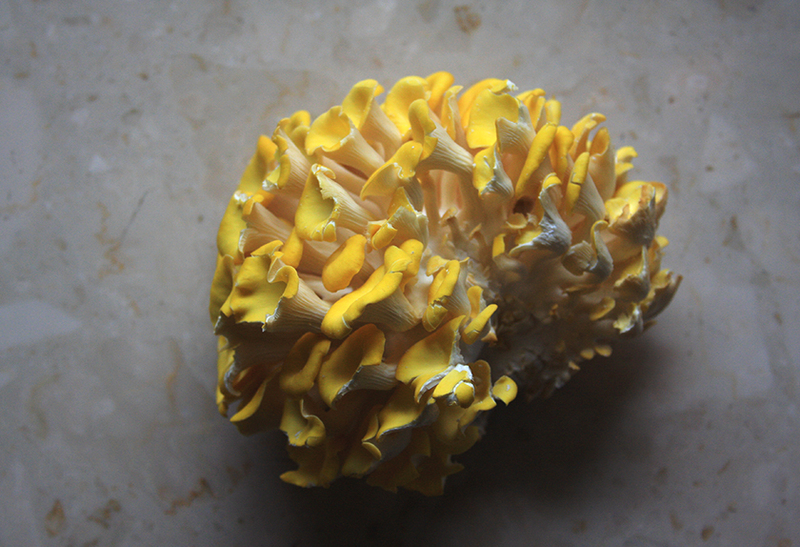 If your mushrooms come in a cluster, separate each one from the cluster but do not chop them. Once the mushrooms are finished, set them aside as they will be added into the risotto later. Now onto the risotto. It is best to cook this dish in a medium to large pot as the arborio rice expands as it cooks. Coat the pan with olive oil and add the onions at medium heat. Sweat the onions until they are translucent. Add in 2 cups of arborio rice and parch it (parch means to coat the rice in oil by stirring and mixing) – a wooden spoon works well for this. As you stir, add in a ½ cup of white wine. Once the wine has partially evaporated, you will begin spooning in (a ladle at a time) the 2 quarts of vegetable stock. Note – you may not use all of the stock. You will continue to add vegetable stock and stir for about 10 minutes at which point you will add in the ½ lb of scallops that you prepped earlier. Keep adding in broth and stirring the risotto for another 10 minutes as the scallops cook. Make sure to taste the rice as you cook so that it reaches the right consistency. The final consistency of the risotto should be a little watery. At that point, finish the dish by adding in the sautéed mushrooms, 2 tablespoons of butter and ¼ cup of parmesan cheese. Once those elements are incorporated the risotto is finished. The scallops are the last part of this recipe. 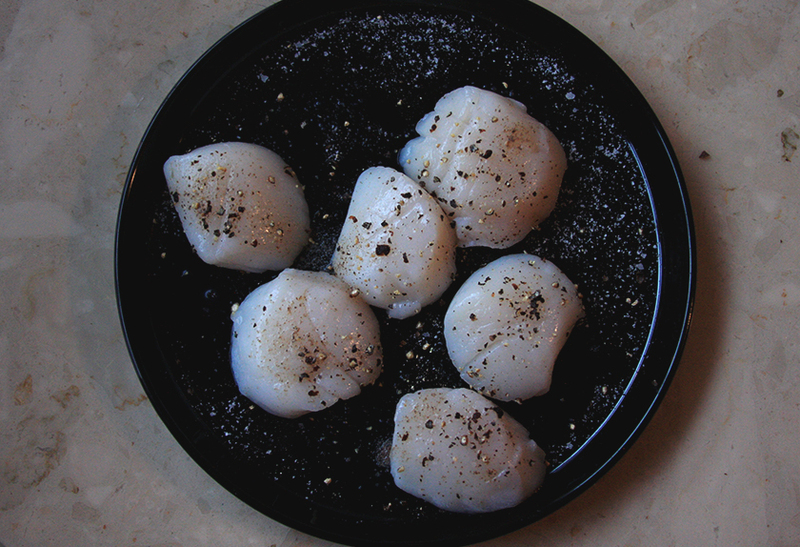 To prep the scallops, season them with salt and cracked pepper. 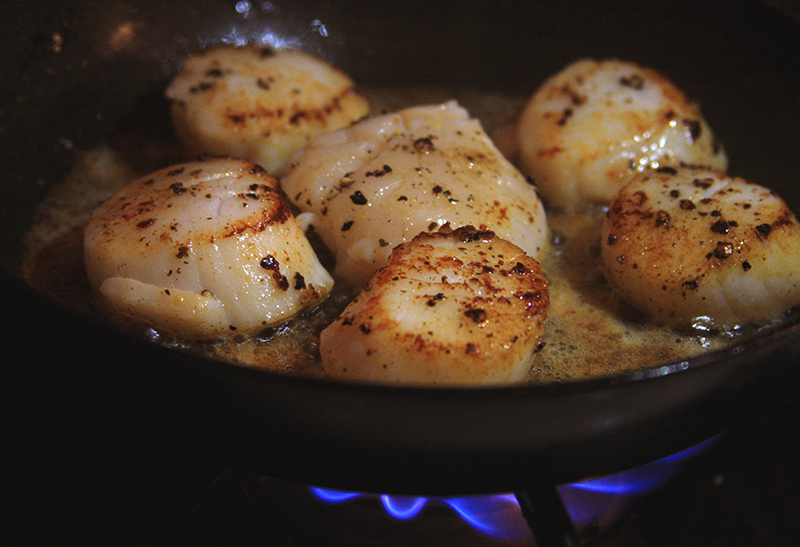 You will need a pan that is just large enough to hold all of the scallops. Melt the butter in the pan on medium to high heat. Place the scallops into the butter and let sit until the scallops are seared and then flip. Once both sides of the scallops are seared (around 2-3 minutes on each side) remove from the pan and plate on top of your risotto. 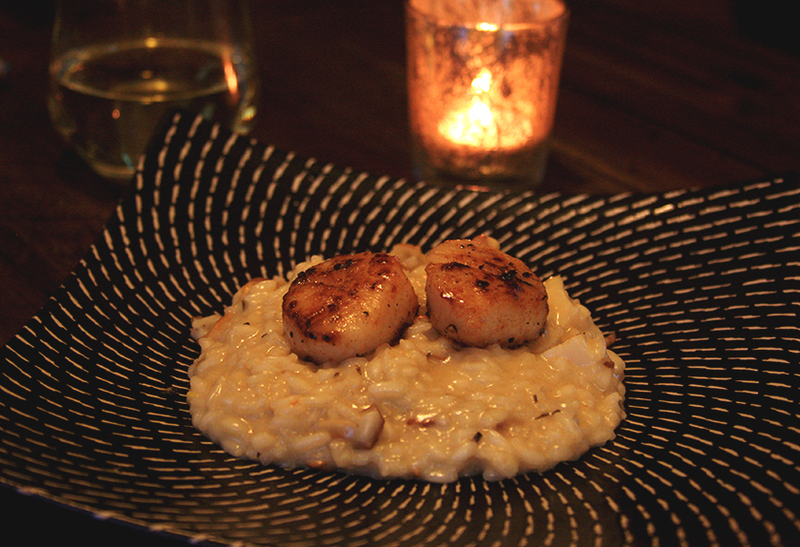 That risotto and those scallops looked great! Nice work on such a perfect meal at home! Thank you! 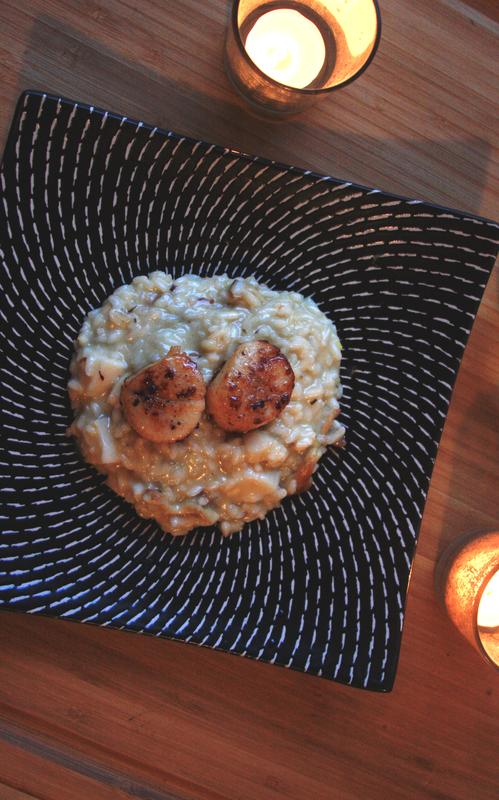 The risotto and scallops were really amazing. All of the credit goes to our chef though! This such a great idea! That eggplant looks amazing. I absolutely need to make this for my husband. Thank you. Yes, it was absolutely amazing! Hope you two enjoy!